Hinge pin door stops install over the door hinge using existing hinge pin. 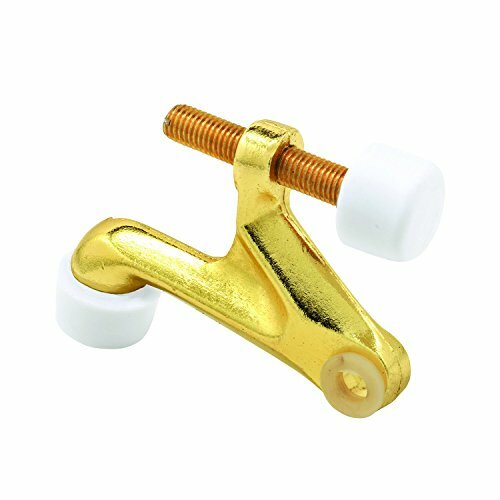 They are used in cases where floor mounted and wall mounted door stops may be found to be unsightly. They can be adjusted to accommodate desired stopping position, which makes them useful in cases where a towel rack or artwork may be hanging on the wall behind the door.